Why were you interested in writing about the effects of The Holocaust? As a first generation American Jew (my father came from Lithuania and my mother was born here) I was given a sense that geography was destiny, and even as a child I wondered what it might have been like if my father had not come to New York in 1922 as he did. I also felt, especially as I matured that those people I knew who had escaped the Nazis were marked in some way and I needed to try to understand that better. You started your career as a science write at The Saturday Review, but soon switched to fiction. Why do you prefer fiction? Fiction is a wonderful way to help people figure out how to live. I also believe that fiction is far more valuable than memoir which has been flooding the bookstores, because fiction has to be shaped into art and can’t be slapped on the page. Do you feel that fiction should carry a message? I think that fiction is The History of the World, e.g. to read about the Napoleonic Wars the best source is really WAR AND PEACE. But even in that book it is how the wars affected the people that interest us. I think that fiction should illuminate lives and in so doing perhaps send a message about how to live. What keeps you going to your desk? What advice would you give to a young writer of fiction? Read as much poetry as you can. Absorb the language and the rhythms. Language is as important as content when you sit down to tell any story. Also read The King James Bible for the same reason. Grace Paley and Don Barthelme, whom I knew, did not believe in reviews. They thought books should simply be announced, described a little, and perhaps excerpted so readers could see if they were interested. That is not a bad idea. What’s awful about reviews is that writers seem only to remember the bad reviews and never the good ones. As an active book critic do you ever review a book badly? If I don’t like a book, I don’t review it. My favorite writer of all time is Tolstoy. I also love Chekhov, Stefan Zweig and Gabriel Garcia Marquez and lots of Balzac and Natalie Sarraute. I adore Jonathan Swift, George Eliot, Trollope, Dickens, and later, among the English, Virginia Woolf, George Orwell, James Joyce, Elizabeth Bowen and William Trevor and Helen Dunmore who both recently died. Among the Americans are Willa Cather, Saul Bellow, I.B. Singer, Robertson Davies, James Baldwin, and Kent Haruf who also died recently. And Larry Woiwode. Two Israeli writers — David Grossman and Yehuda Amichai. A city of secrets, secrets that destroyed Paul Bertram’s once-idyllic marriage, secrets that have threatened to consume him, secrets that almost destroyed his very life. When the Berlin Wall falls in 1989, Paul is finally compelled to confront his past. Seeking one last chance at redemption, he is pulled back to the city where he and his family almost perished. In his anguish Paul turns to his former wife, Eve, and together they embark on a journey they never could have envisioned, a journey during which he is able — at last — to reveal the awful truths he has lived with for so long. A journey where she is able to face her own fears and flaws. In spare, compassionate prose, Roberta Silman has created vivid, resilient characters who learn that friendship and love can also mean humiliation and betrayal, that kind intentions can lead to unimagined evil. 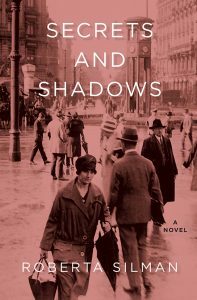 Her portrayal of the growing tension and terror in Berlin leading up to and during the Second World War is unforgettable. 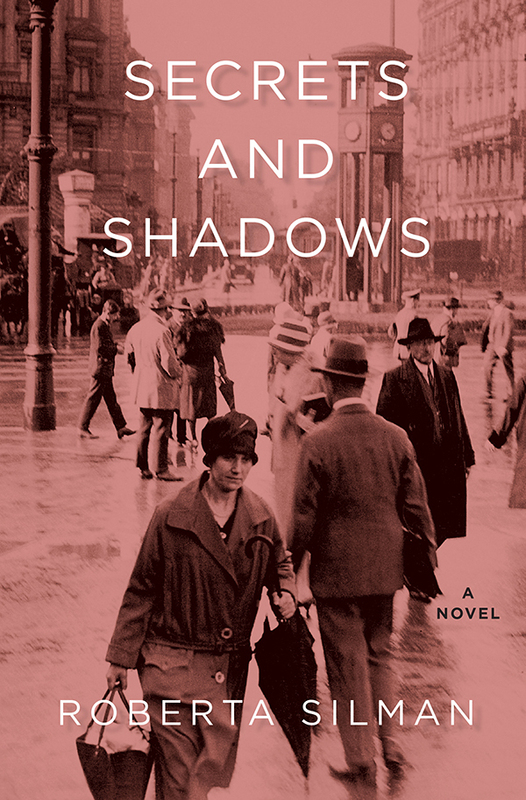 She not only explores the many twists and turns of fate; she also shows how the atrocities of the Second World War can reverberate far into the future, long after actual events. Past and present coalesce in this novel in mysterious, yet inexorable ways. As Eve and Paul face who they really were and now are, we see them accepting each other in entirely new ways. Despite the shocking denouement, both Eve and Paul realize that one of the most important aspects of being human is our ability to forgive. Roberta Silman was born in Brooklyn and raised on Long Island. She has a BA with honors in English literature from Cornell University (Phi Beta Kappa) and an MFA from Sarah Lawrence where she worked with Grace Paley and Jane Cooper. Ms. Silman is the author of several published books; a short story collection, Blood Relations, (Atlantic-Little, Brown), three novels, Boundaries (Atlantic-Little, Brown, Avon paperback), The Dream Dredger (Persea Books), Beginning The World Again, A Novel of Los Alamos (Viking), and a children’s book, Somebody Else’s Child (Frederick Warne, Dell paperback). 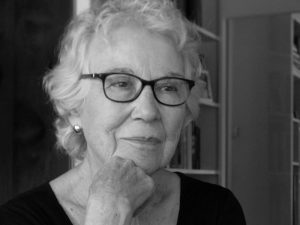 Ms. Silman is a recipient of both a Guggenheim Fellowship and an NEA Fellowship and she has received numerous writing awards including the National Magazine Award for Fiction twice and the PEN Syndicated Fiction Prize twice. Her books have also received two Washington Irving Awards, honorable mention for the PEN Hemingway Prize and the Janet Heidinger Kafka Prize (twice). Ms. Silman’s short stories have been published in magazines and anthologies here and abroad including: The New Yorker, The Atlantic, Redbook, McCall’s, Hadassah, The Virginia Quarterly Review, The American Scholar and many other magazines here and abroad. Two of her stories were read at Symphony Space, NYC and on NPR’s Selected Shorts; and several have been cited in Best American Short Stories. Her reviews and Op-Ed pieces have appeared in The New York Times, The Boston Globe, The New York Observer, The Virginia Quarterly Review and World Books PRI. Currently she is a senior contributor to the online magazine, The ArtsFuse. Ms. Silman has served on the New York and Massachusetts fiction panels and has given workshops and readings at many universities and libraries. She’s a member of PEN where she served for several years on the Freedom to Write Committee, and of the Authors Guild. She also served for many years on the Advisory Council for the College of Arts & Sciences at Cornell University.